This entry was posted in Iranboomy Janan/ جانان ایرانبومی on December 27, 2016 by kanooniranian. This Program will be held at Neighbors Restaurant. 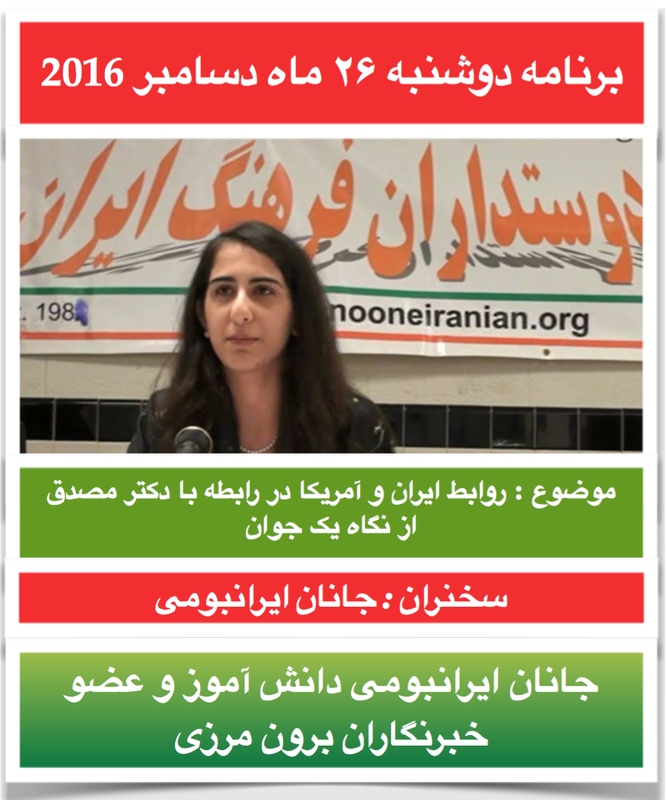 This entry was posted in Iranboomy Janan/ جانان ایرانبومی on December 21, 2016 by kanooniranian.